The futuristic bus would use magnets embedded in the road to navigate the streets and will also feature satellite navigation system and intelligent cruise control, onboards to control speed and direction and avoid traffic hazards. 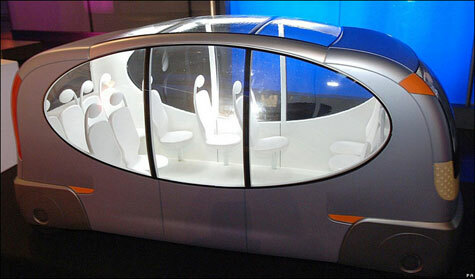 The passengers will be able to hail a bus or ?pod? using their mobile phone to pick them up from a specified location.